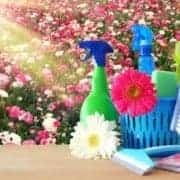 Faithful readers will recall a reader tip earlier this week, in which Julie shared her simple homemade carpet shampoo of hydrogen peroxide, hot water and a tiny bit of liquid laundry soap. 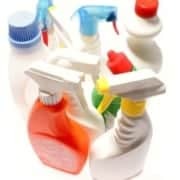 That tip set off a semi-avalanche of responses requesting specific details, and many of which cautioned, wisely, that hydrogen peroxide can have a bleaching effect on some types of fabrics and carpets that are not colorfast. Mix HOT water, and a few drops liquid soap, preferably a simple biodegradable soap, such as ERA, Blue Dawn or Dr. Bronner’s Pure Castile Soap. Add enough hydrogen peroxide to make the overall solution from about 1/2% to about 2% hydrogen peroxide*. 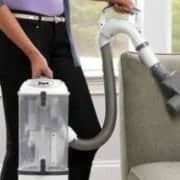 Fill carpet cleaner reservoir. In theory, hydrogen peroxide could alter the color in carpet, depending on the kind of dye. However, this is unlikely using 3% peroxide. I have poured 3% hydrogen peroxide directly onto carpet in my home and have not had any problems. For the best result make sure you are using fresh hydrogen peroxide (no older than 6 months) that has been stored in a dark place. Hydrogen degrades quickly when exposed to light. Caution: You should ALWAYS test any kind of stain treatment or cleaner in an inconspicuous area to make sure the item to be cleaned (carpet, upholstery, garment) is colorfast and you will not be making things worse. In a bowl, mix fresh hydrogen peroxide (you will get the best results using 35% hydrogen peroxide), baking soda and a few drops of Blue Dawn to form a thick paste. Using an old toothbrush, apply the paste to the grout and give it a good scrub. Allow to sit on the grout for a few minutes or until you achieve your desired results, then rinse very well. 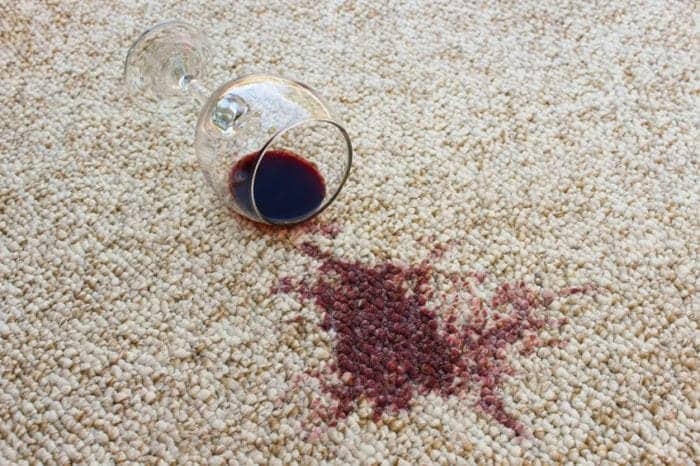 Interestingly, I’ve heard from quite a few readers who have used the White Grout Cleaner above as a last result treatment for an ugly, stubborn carpet stain—even the worst, which is red wine on light-colored carpet—with great results. 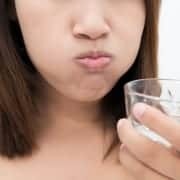 Adjust the amount of hydrogen peroxide to make a thinner slurry and of course, test first. Becky writes: “We had tenants in our house for a few years and we got new carpets in all but one room after we moved back. The one room was one we didn’t use much and the carpet was fairly new but the tenants had made a big stain in a very obvious location. I’d tried everything to get that stain out. My referral links appear in this post. If you click through and take action, I may receive a commission, at no additional cost to you. My full disclosure policy is here.